My daughter called me and said that she needed a tissue. Her nose was all stuffed up and she had the remnant of a sneeze dripping down her face. Thankfully I fell back to sleep, only to hear that familiar call, although slightly more distraught, an hour later. I returned to her side, wiped her nose, and held her hand until she got comfy again. If you have never had a sick child in bed with you, it really just means restless sleep for her, and no sleep for you. But at least when she wakes up crying, all she has to do is reach out to touch your hair, take your hand, and then let out a very satisfied sigh, knowing that she is not alone. That one moment makes all the sleeplessness worth it. My favorite thing to do for my babies when they are sick is, first of all, make homemade chicken noodle soup: the epitome of comfort food. There has been so much research done on the health benefits of chicken soup. I wonder though. 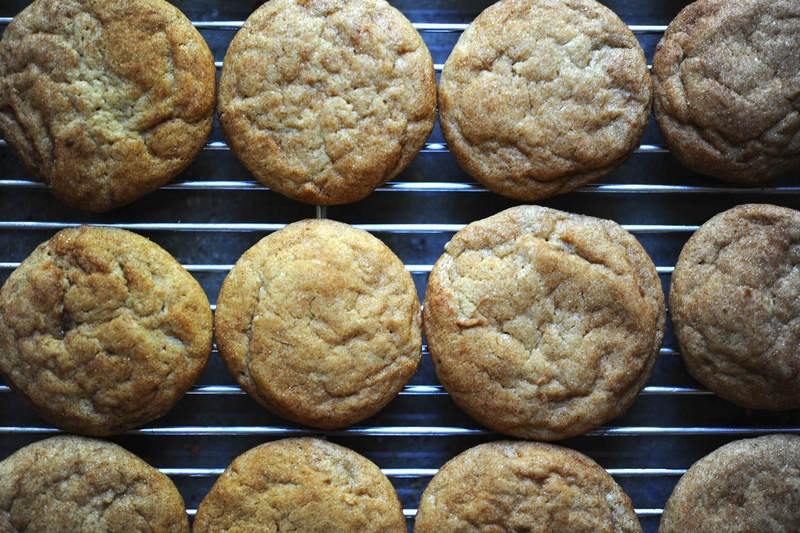 Are there any comparable studies on the healing properties of cookies? 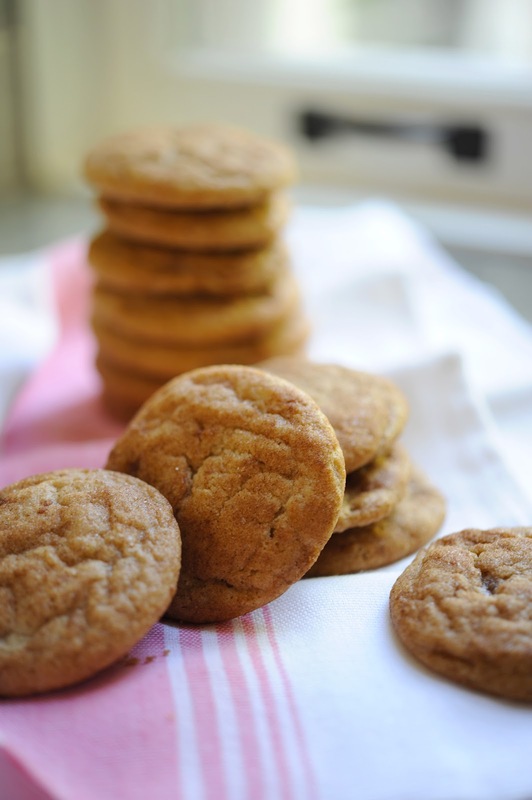 This (adapted) recipe comes to us from the lady who first inspired my cookie obsession, Mrs. Fields. 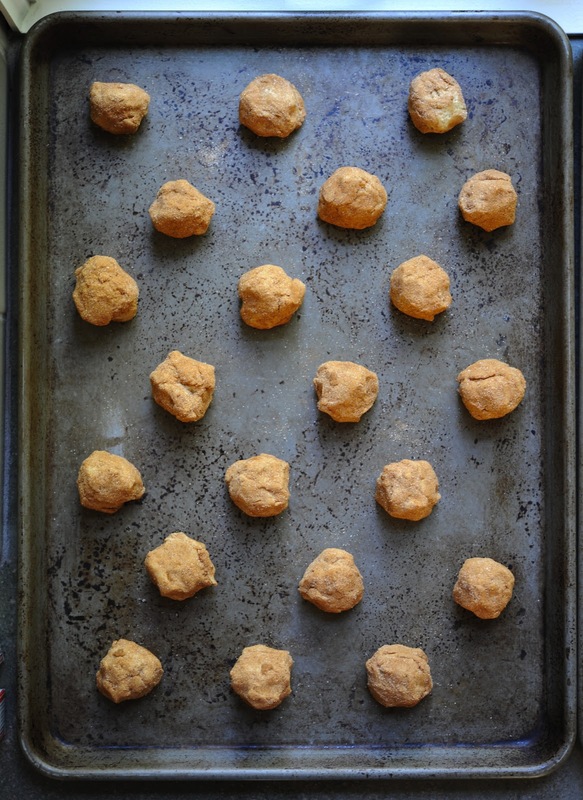 In a medium bowl, combine flour, baking soda, and salt. Mix well with a wire whisk and set aside. In a large bowl, blend sugars with an electric mixer set at medium speed. Add the butter, and mix to form a grainy paste. Scrape sides of bowl, then add the eggs and vanilla extract. Mix at medium speed until light and fluffy. Add the flour mixture and blend at low speed just until combined. Do not overmix. 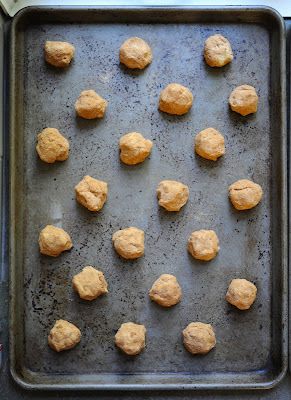 Shape dough into 1-inch balls and roll each ball in the cinnamon-sugar topping. OOO very dangerous, indeed! I don't think I would have done well at a job near Mrs. Fields.... Come to think of it, it would have been a fantastic work environment!